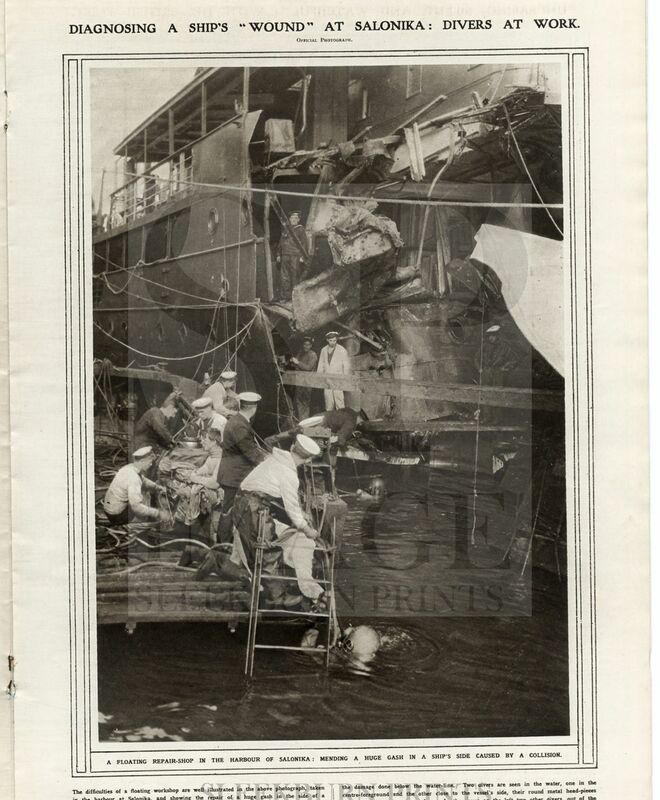 Salonika: Divers at Work and Men on a Floating Repair Shop Mending a Huge Gas in a Ship's Side Caused by a Collision - fp from an Official Photograph. Shows the divers working in difficult and dangerous conditions in the water; one diver resting on the repair raft and having his diving dress adjusted. With small caption article of approx. 100 words.